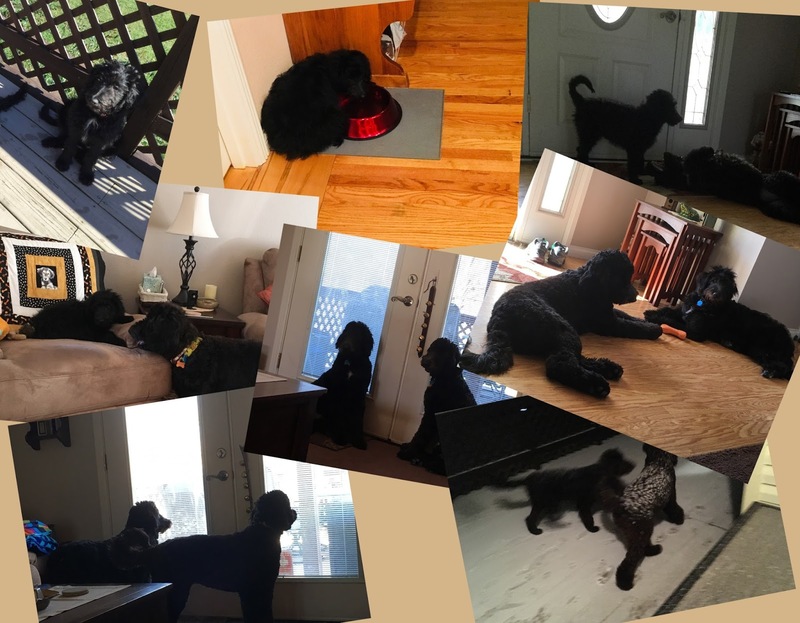 Just a little reminder for us and our readers of how much these pups have grown. 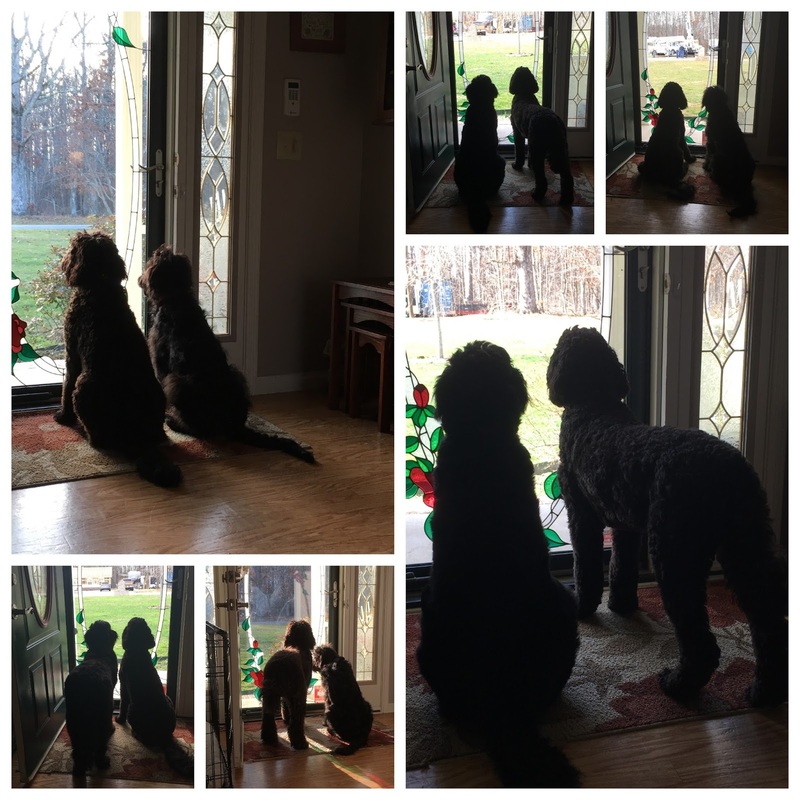 Cooper will be a year old next month and Murphy in July. 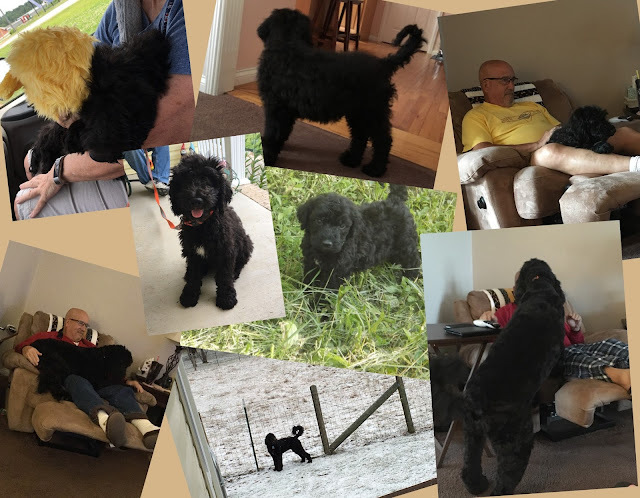 I had fun looking back....not as many photos of Murphy when he was younger, most were of the two of them and either playing (blurred) or sleeping. LOL! They still have very different personalities. Cooper is hyperactive, sometimes obsessive and a tad more on the jealous side (although they both have that tendency - pet one, better pet both!). Murphy will play just a hard but doesn't seem to need it as much as Cooper. I don't think Cooper will ever get fat. Biggest challenge with them both is walking on the leash - trying to get them both used to the Gentle Leader and get them to behave around other dogs. Yes, a definite challenge but we love them both. Thanks, Edie. I can't believe how much they've grown! Cruise ship held up by drunken pirates!